2. Increase in muscular definition or muscle tone particularly in the core or increase lean muscle mass. 3. Improvement in performance including increased strength, speed, endurance, quickness, or athletic performance. 4. Improvement in health including decrease in cardiac risk factors such as cholesterol, high blood pressure, diabetes, and obesity. Also improvement in bone health; decrease in risk for osteopenia and osteoporosis. 7. Improvement in daily function and maintenance﻿ of independent﻿ living. This is particularly important for elderly. Includes improvement in stability, strength, agility﻿ and flexibility﻿. During a clients initial consultation, Dr. Greenberg and the client will discuss the clients current level of fitness, health, experience, goals and personal preferences. In addition Dr. Greenberg performs a preliminary fitness assessment which includes checking the clients blood pressure, weight, body fat analysis, and collecting a medical history. Based on the clients preliminary fitness assessment ﻿Dr. Greenberg will design an individualized training program that will effectively, efficiently and safely allow the client to reach his or her goals. During the initial and all of the following training sessions Dr. Greenberg not only coaches and motivates the client, but he continues to assess the clients performance on an ongoing basis and modifies the training program accordingly. If you want to see remarkable changes in your body, your physical capacity, and energy, give Dr. Greenberg, six weeks. In another two to six months most of you should reach your goals. This will take longer if you are severely overweight and your goal is to lose 50 lbs or more or if your goal is to make enormous gains in muscle mass. The reason for these seemingly quick results is that the human body is highly adaptable. If you do not exercise, your body adapts to your sedentary lifestyle, your metabolism decreases, and the body stores calories as adipose. If you use your muscles against resistance, your muscles, bones, and tendons adapt by becoming stronger, your muscles become more defined, and your adipose will turn to lean body mass or disappear. If you exert your cardiovascular system, your cardiovascular capacity will increase, your peripheral vascular resistance and blood pressure will decrease, and your heart will become stronger and more efficient. 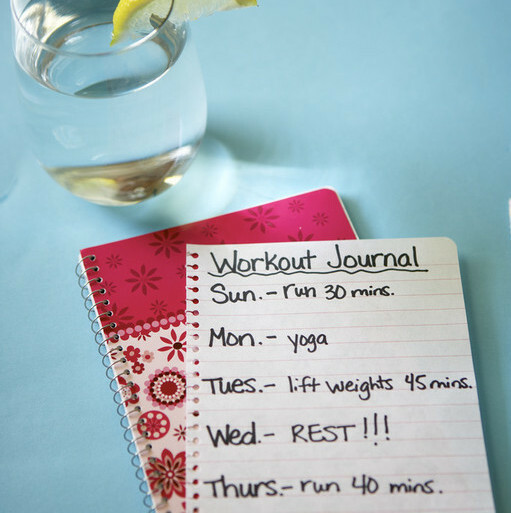 As you expend more energy exercising, your energy, stamina, and metabolism will increase to accommodate. Why Train With Eric Greenberg, MD, CPT? Dr. Greenberg has thorough﻿ understanding of Exercise Physiology, Muscle Development, and Core Training. People have different levels of fitness, goals, physical or medical limitations, amounts of time available for training, and preferences for types of exercise. Dr. Greenberg will work with you to individually tailor your training sessions for your specified goals, needs, and desires. Dr. Greenberg will give you intensive on-going instruction and encouragement during your session. Dr. Greenberg will continuously restructure and advance your workouts to take your fitness to a whole new level. Dr. Greenberg is highly motivated. He is passionate, sincere, dedicated, and excited about what he does and the results his clients obtain. 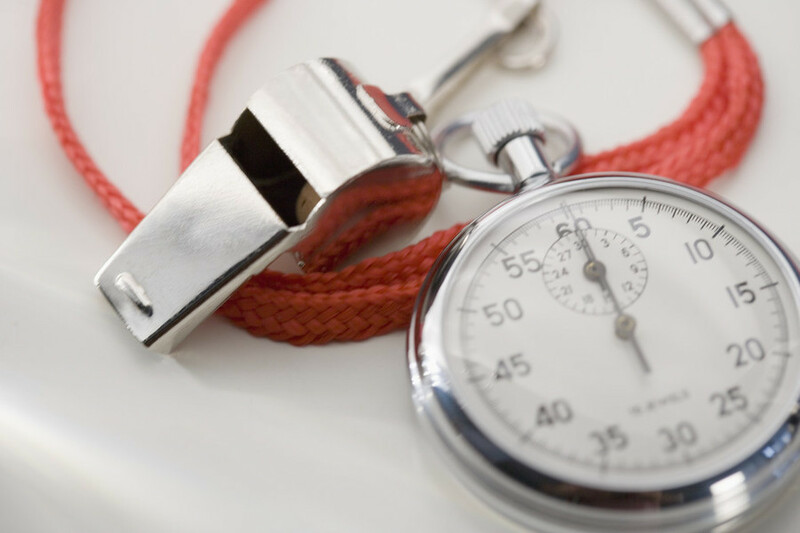 He coaches and encourages his clients through every repetition. Dr. Greenberg's enthusiasm and dedication is contagious and rubs off on his clients. •Lose excess weight and increase lean mass: tone your body, get leaner and more defined. Instead of seeing an undefined arm you will begin to see a separation of muscles: the deltoids, the biceps and triceps. As your percentage of body fat decreases and your core muscles develop, you will begin to notice your abs and obliques where previously all you could see was belly fat. Your glutes, thighs, and calves will also begin to take shape. •Increase strength, muscle endurance, gain muscle mass, improve stamina & cardiovascular conditioning. The first benefit that most clients report is an increase in energy and stamina. In a short time, you will be lifting weights or performing exercises that you never dreamt possible. •Optimize athletic performance: speed, power, and agility. 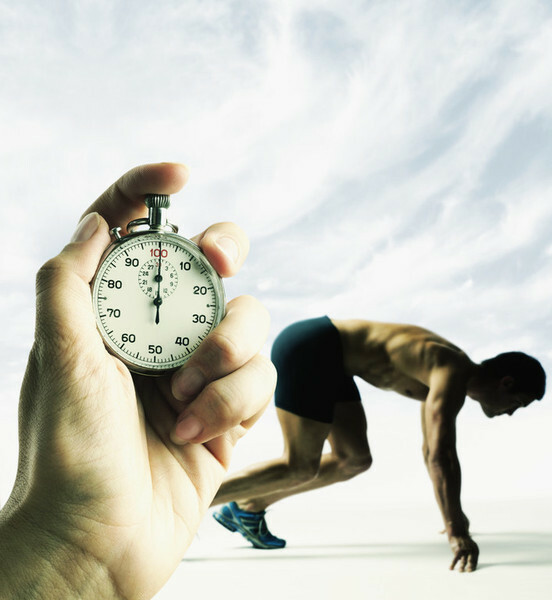 As your strength increases and weight decreases, your speed and quickness and agility will drastically increase. •Increase flexibility and joint mobility while improving your balance and coordination. •A sedentary young, middle aged or elderly individual who wants to improve his or her energy, appearance, physical capacity, or health. •A person including a competitive athlete who wants to increase his or her speed, strength, or athletic performance. •An elderly adult who wants to improve his or her stability, strength, health and functional capacity. •A person of any age who wants to build a lean, muscular, and fabulous body. •A person who is training on his own and not seeing results. Dr. Greenberg's training programs are not merely designed to burn calories. Dr. Greenberg's training programs﻿ are designed to entirely transform your body to make you lean while greatly increasing your metabolism. Training sessions with Dr. Greenberg will increase your lean muscle mass, convert fat to muscle, and thereby increasing your basal metabolic rate, which is the rate your body burns calories at rest, or also called your metabolism. In addition training sessions with Dr. Greenberg﻿ will increase your muscular strength and endurance and cardiovascular capacity making it much easier and enjoyable to exercise and burn calories. As long as you can maintain the lean muscle mass that you gain, your metabolism will continue at a higher rate﻿ and you will not gain weight when you go on vacation or stray from your diet. You can burn calories by taking a walk in the park. You can go on a crash diet. However, these methods of weight loss will have no major positive effect on your metabolism, and at the end of the day, when you go on vacation, or go back to your normal eating habits, the few pounds that you lost will come back plus some. These methods of weight loss do not increase your lean muscle mass and therefore do not increase your basal metabolic rate. This is why yo-yo dieting does not work and personal training with Dr. Greenberg does. Dr. Greenberg employs circuit and interval training techniques﻿ in most of his training programs. Using circuit and interval training techniques, the client will exercise almost constantly throughout the training session, but at varying levels of intensity and with varying muscle groups. The client's heart rate will be maintained in a cardiovascular training range throughout the work out while the client continues to do exercises﻿. These techniques not only burn calories, build muscle, and increase metabolism, but in addition they will improve lactic acid threshold﻿ and allow the client to work at a high level of intensity for longer periods of time. The client will also improve his cardiovascular endurance. 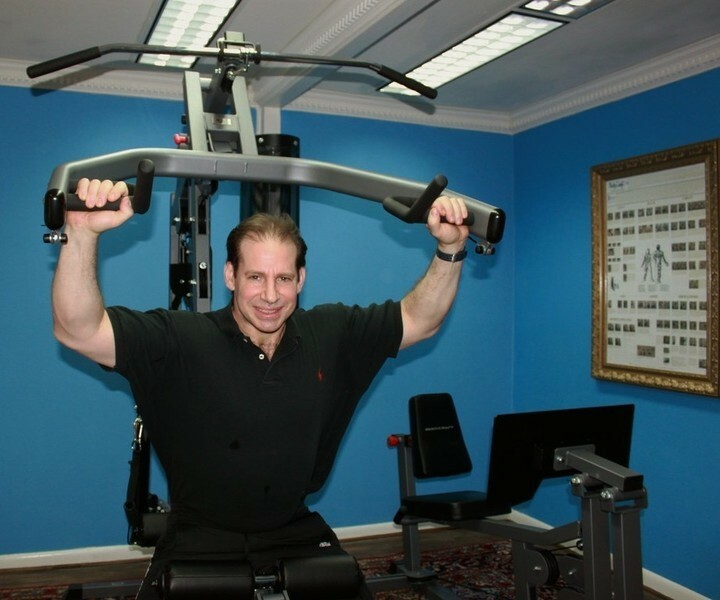 Dr. Greenberg has over thirty years experience in weight training. He particularly pays attention to your posture and technique to make sure you do not get hurt. Dr. Greenberg will implement various techniques to stimulate muscle growth, to improve strength, and to avoid plateaus. He will design programs to target important muscle groups which will improve your appearance, posture, and performance. Dr. Greenberg﻿'s training programs are designed to efficiently increase lean muscle mass, increase your metabolism, decrease body fat and thereby increase your muscular definition and overall level of muscular fitness. ﻿Dr. Greenberg﻿ will tailor﻿ your program so that you can efficiently develop the type of musculature that is best suited for your needs and desires. Schedule a free consutation! Book it here.